Summertime and the entertaining is easy! Whether you’re planning an outdoor BBQ or turning your home into a smokehouse for the day, this season I will be sharing flavorful recipes for all your grilling favorites. My favorite way to kick off grilling season is with simple recipes I can put together in minutes. 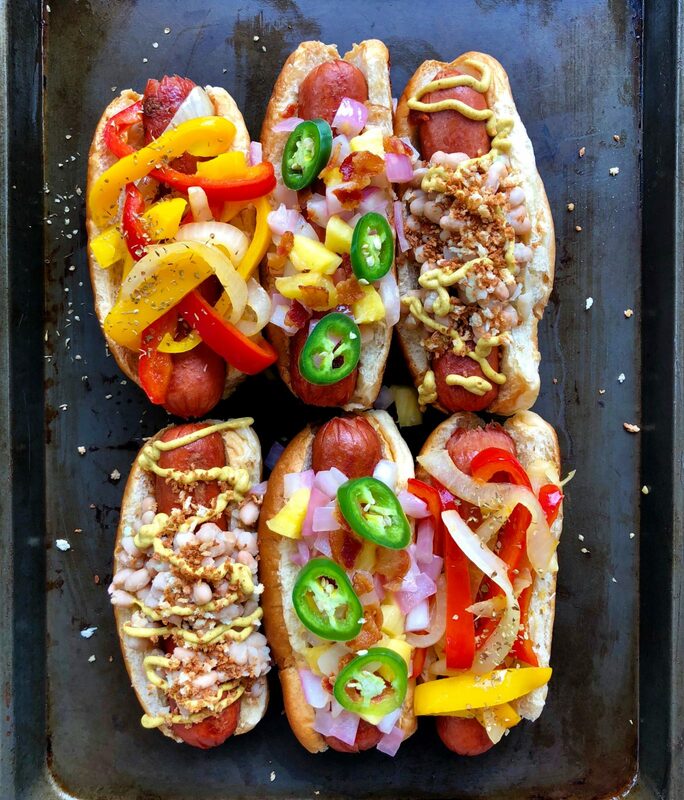 I recently dreamt up a few different hot dog topping ideas so you’ll never have to eat another hot dog naked again. 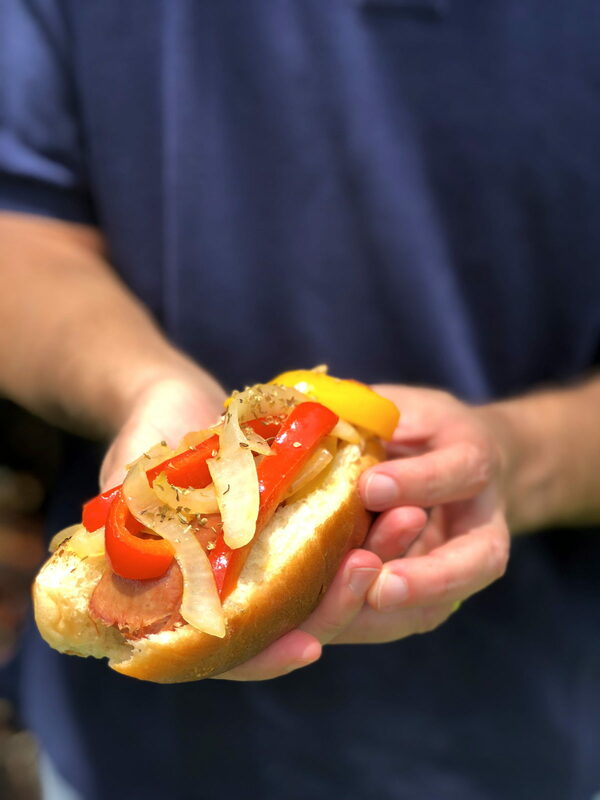 Hot dogs are great for summer BBQs because they’re incredibly quick to make. When having guests over for dinner or even just the family it’s easy to make three or so different types and then that way everyone can choose what they like. You can even set the toppings up bar style so they can top their own dog. Below I’m sharing three of my unique topping ideas – that turn your dogs into a gourmet meal and are definitely not boring. Sauté hot dogs in olive oil with sliced bell peppers and onions. Add some chopped garlic, a pinch each of cayenne and fennel seeds. 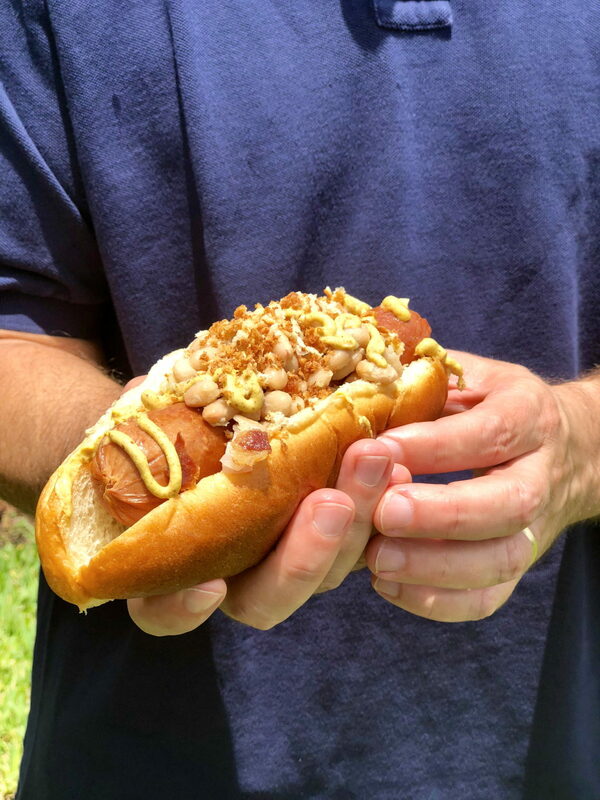 Navy beans sautéed in garlic, a little spicy mustard and tons of breadcrumbs make up this unique dog. Honey mustard, grilled bacon and sautéed onions make for a salty sweet combo. Top with jalapeños for a spicy kick.